The Sony VAIO SVE14A15FNB is priced at Rs.55,990, which puts it up against the Asus K55VM and the Toshiba L850 in terms of pricing. The latter two feature quad-core Ivy Bridge CPUs that do really well in tasks like video encoding, so if you do a lot of that, we recommend you pick the Asus K55VM over the Sony. However, the new E-series is very good for media playback, especially due to the higher resolution screen. It’s also a bit smaller, is more portable, has a much better keyboard that’s backlit, an ambient light sensor for the display, and great design and build quality. Sony’s SV-E series was introduced in Q3 2012 as a replacement for the VPC-E budget series. 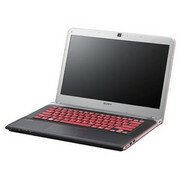 It consists of notebooks from 11.6 to 17.3 inch with a price range from 800 Euro to 1000 Euro depending on the configuration. The 800 euro entry level model houses a Sandy bridge processor and an on-board graphic Intel HD3000. 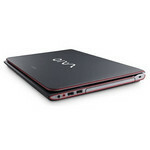 The more expensive 1000 euro model uses a Sandy Bridge quad-core processor and mid-range AMD Radeon graphics. Since the E series is a series of budget notebooks aiming at average consumers, it does not has the beautiful design or state-of-the-art hardware of Sony’s high end models. But the E-series still has some ace up its sleeves: Its price is comparable to other manufacturer’s mid-range laptop, while having a much better matte display and a somewhat better backlit keyboard, not to mention a timeless design which is similar to other Sony premium notebooks. Unfortunately, being a budget series, the E-series suffers from some flaws to cut cost, including a bad cooling system, which makes the notebook very hot during heavily gaming, no graphics switchm, which makes the battery run time below average. Despite these flaws, the Sony SV-E series is still a very attractive choice for home office users who are looking for high performance from a premium laptop manufacturer at a fair price. AMD Radeon HD 7670M: Renamed Radeon HD 6650M and therefore still produced in 40nm. Modern games should be playable with these graphics cards at low settings and resolutions. Casual gamers may be happy with these cards. » Further information can be found in our Comparison of Mobile Graphics Cards and the corresponding Benchmark List. 2450M: Dual-core processor based on the Sandy Bridge architecture with an integrated graphics card and dual-channel DDR3 memory controller. The CPU is clocked at 2.5 GHz (Turbo Boost 2.8-3.1 GHz) and the GPU at 650 (1300 MHz Turbo).» Further information can be found in our Comparison of Mobile Processsors. 84.25%: This rating should be considered to be average. This is because the proportion of notebooks which have a higher rating is approximately equal to the proportion which have a lower rating.